Blizzard Videos: The first video (left) was shot between 3:00 and 4:30 p.m. as the first big snow band moved into the area. 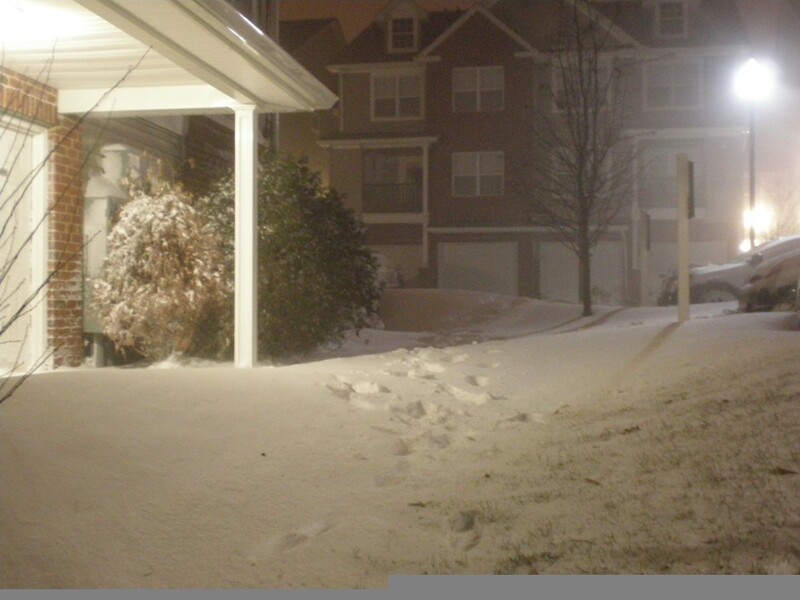 The second video (right) was shot around 8:30 pm as some of the strongest winds occurred with more intense snow bands. I probably didn't catch the 'worst' on video, but things did get pretty inense for a while! BTW, the nearest airport did record winds gusts of 60 mph! 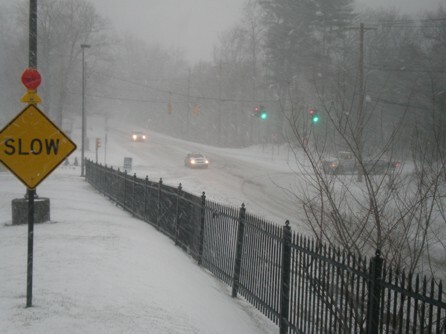 On the afternoon of December 26, 2010, Jim Bishop shot video of the developing blizzard from Shelton, CT. Just by looking at the photo on the right, this is only the beginning stages of the storm as 15-20 inches of snow fell across the region by the morning. 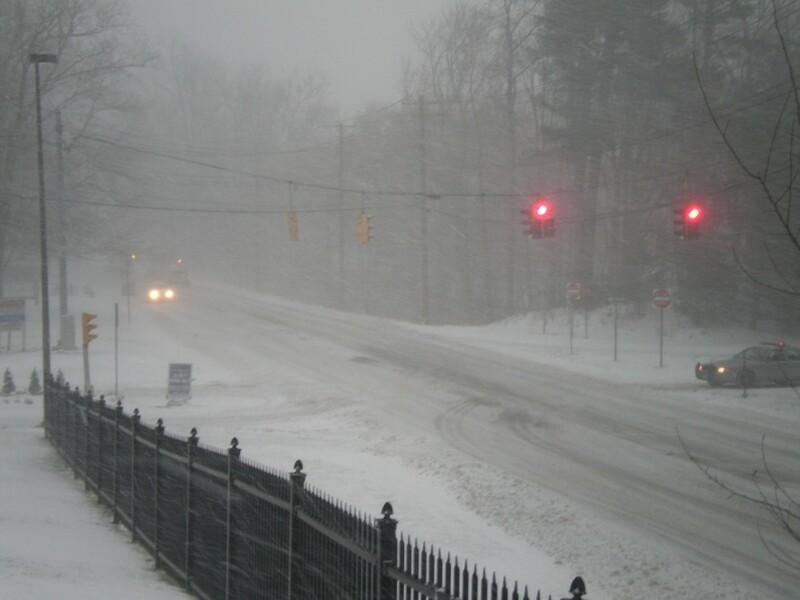 Unfortunately, much of the storm occurred after dark. So Jim decided to get some video as the first big snow band made its way into his area. He also went out again arou 8:30 pm to shoot more video as more intense snow bands moved into the area. 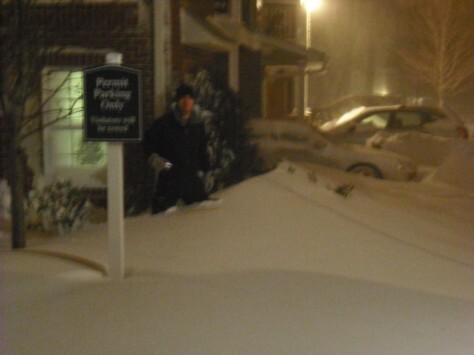 When it was all said and done, around twelve to fifteen inches of snow feel in Jim's backyard. 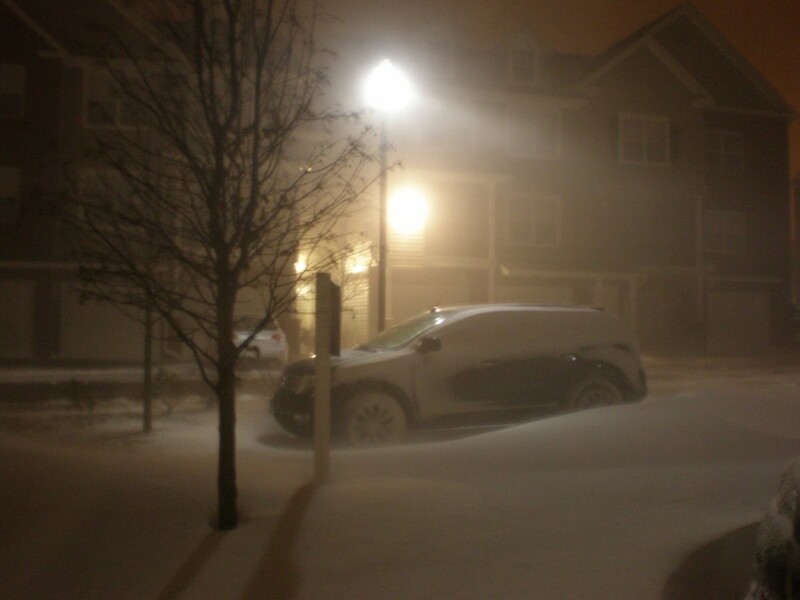 But it was incredibly hard to get an accurate measurement given the 30-60 mph winds all night long. Photo (right) taken as the winds started to pick up in my neighborhood in Shelton, CT around 3:30 pm on December 26, 2010. Taken outside my front door around 8:30 pm. 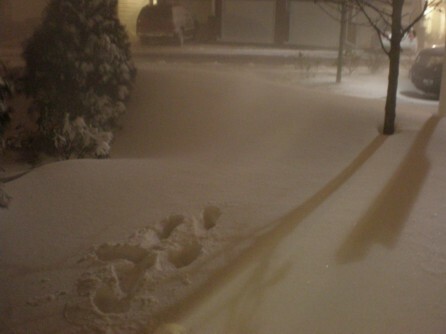 View of my front walkway hours later around 2:30 a.m. December 27. Notice the snow is piled at least two feet high next to the tree! 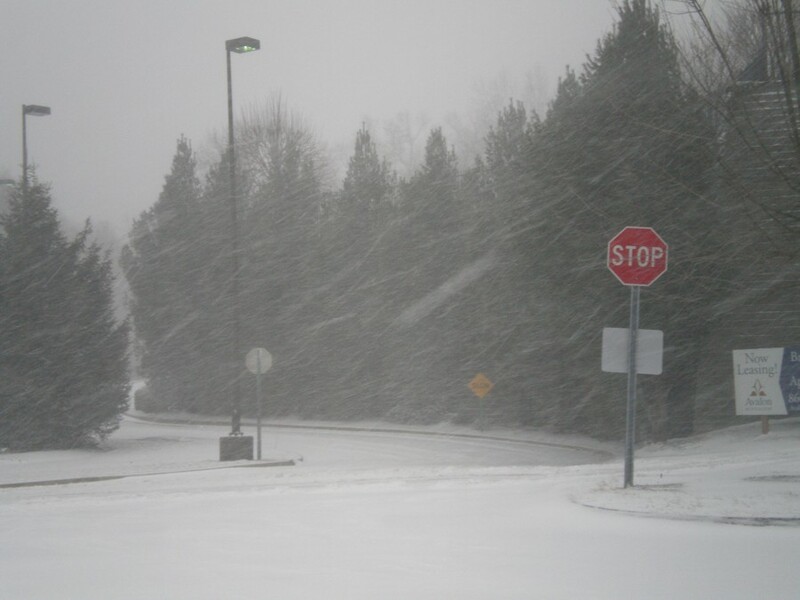 The image is blury because I was pounded by a 40 mph wind gust as I took the picture. 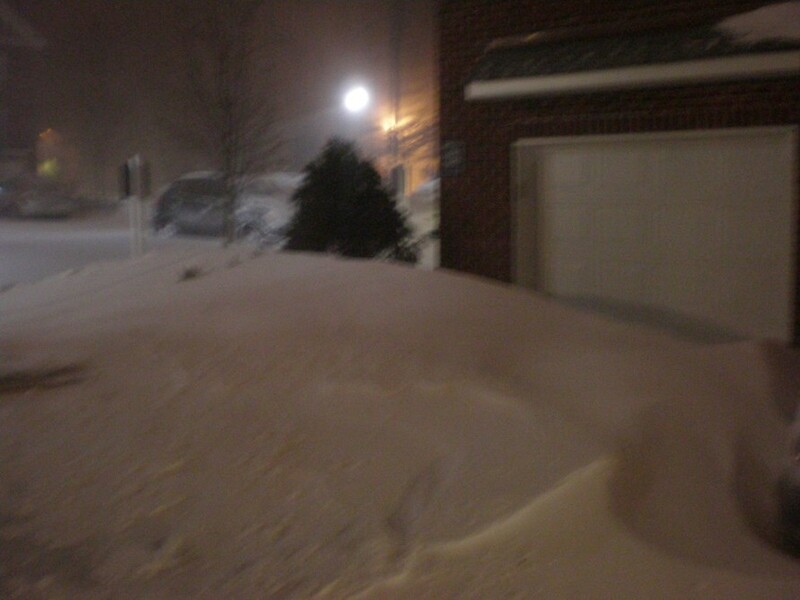 But as you can see, snow is piled very high up against my garage dooor! 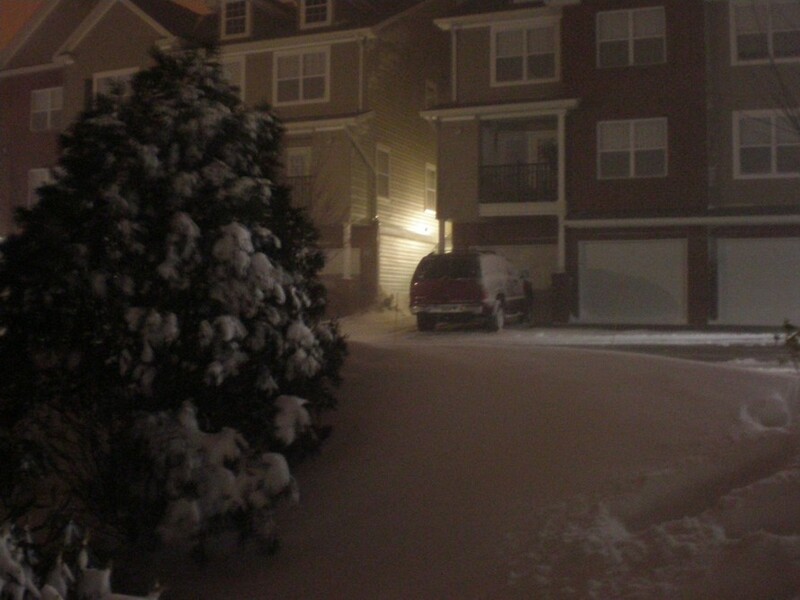 This was taken around 3:30 a.m. December 27. 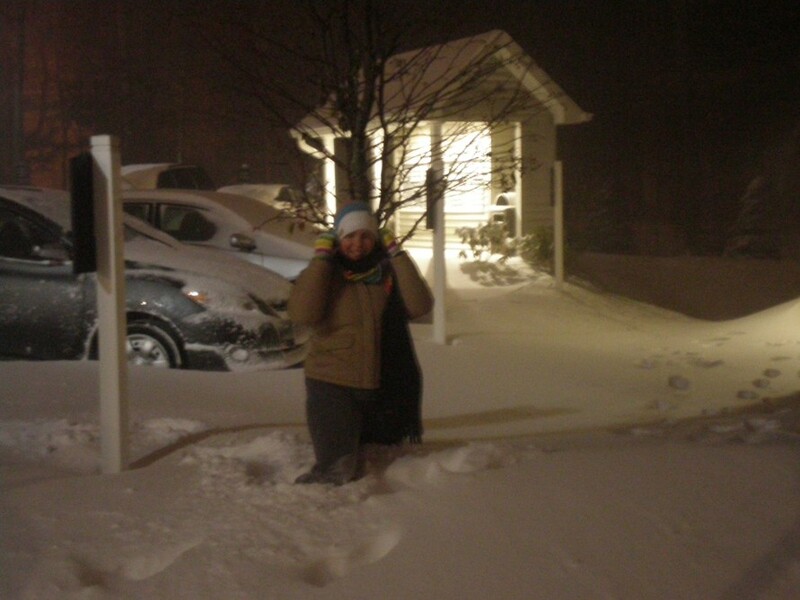 MaryLeigh is seen here on the left of the picture, trying to not fall over as a powerful wind gusts slams both of us. 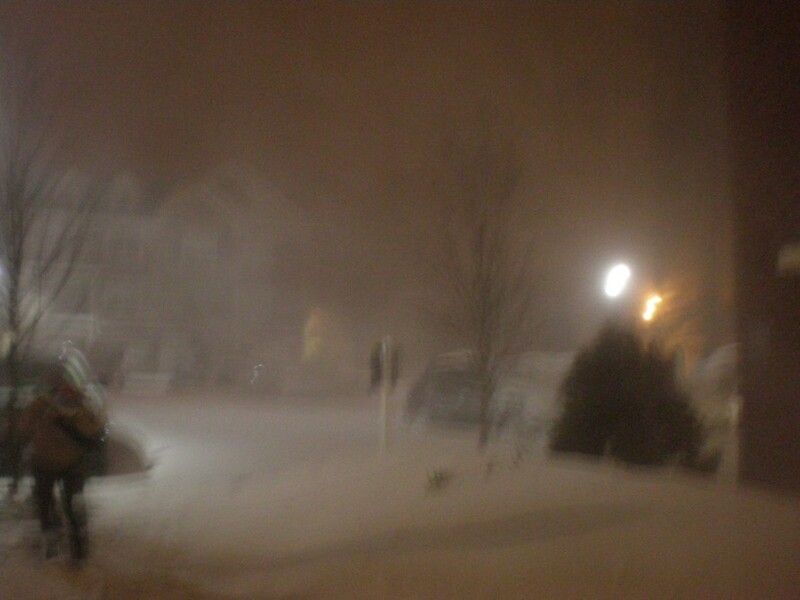 While the picture is blury, the haze is not a product of that -- it's the blowing snow glowing in the street lights. There's MaryLeigh, standing in the front walkway with snow pas her knees! She looks cold! 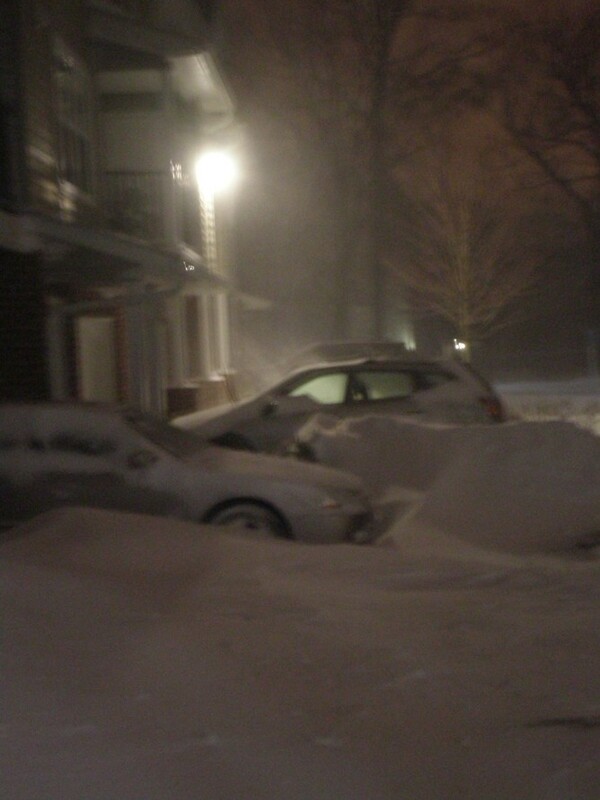 Snow piled high next to neighborhood cars. 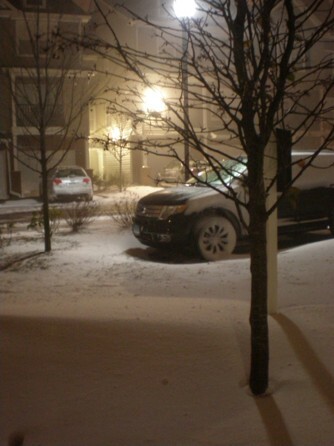 Another shot of the snow piled high next to the tree in the front walkway. Another shot of the front walkway. Finally, there is Jim standing in the pile of snow in the front walkway.